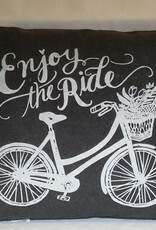 Enjoy The Ride Pillow, 14"x13"
Home / Enjoy The Ride Pillow, 14"x13"
Gray pillow w/white design. 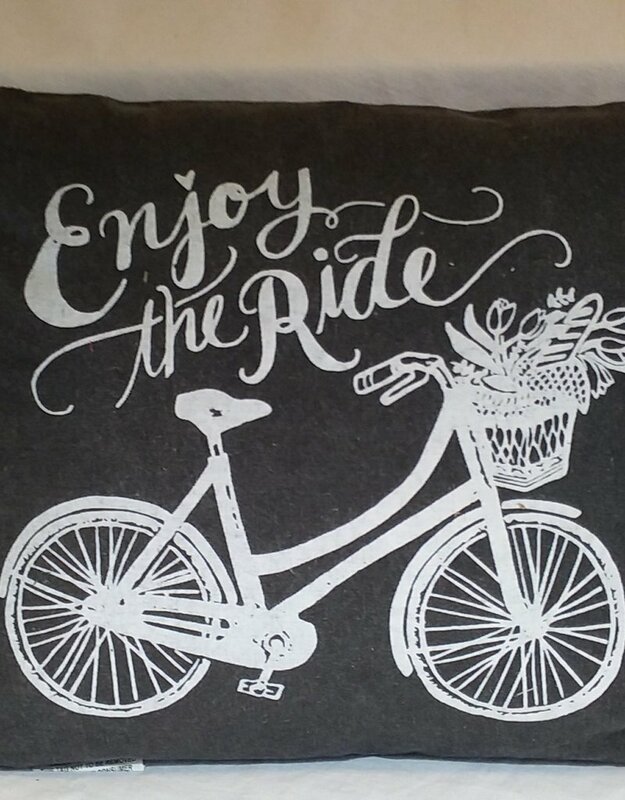 Bike w/basket of flowers & Enjoy The Ride on 1 side and many bikes on backside. 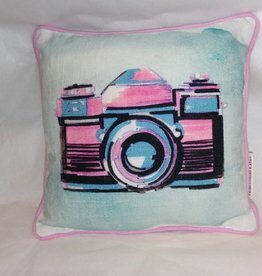 14"x13"
Pillow w/camera on one side & "photos" on the other. 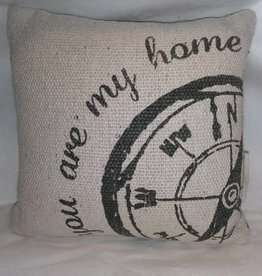 10x10"
Pillow w/compass on one side & a map on the other. 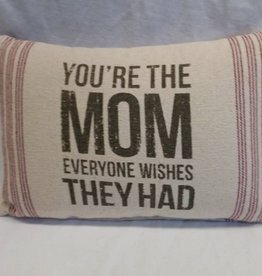 9"x9"
You Are My Home Pillow, 9"x9"
A decorative throw pillow. 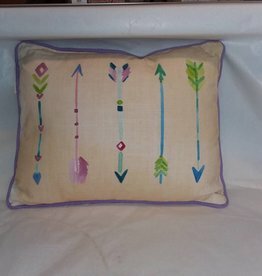 Multi colored w/arrows on one side & feathers on the other. 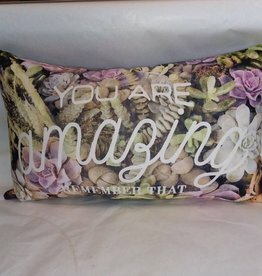 15"x12"
Arrow / Feathers Pillow, 15x12"
A throw pillow covered w/flowers & superimposed words: "you are amazing remember that" on one side & light purple on the other. 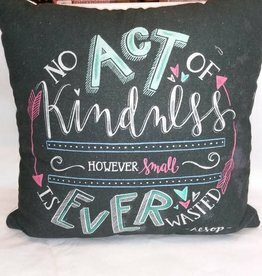 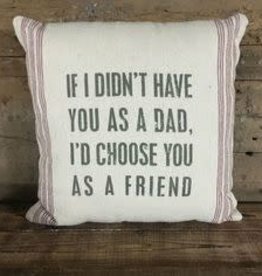 17"x10"
You Are Amazing Pillow, 17"x10"
No act of kindness, however small, is never wasted throw pillow. 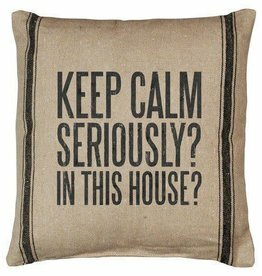 Plain beige on the reverse side. 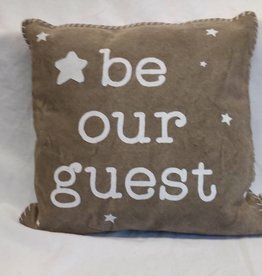 15"x15"
Be Our Guest Pillow, 15"x15"